Spirited Virginia, a Virginia Department of Alcoholic Beverage Control publication, recent said that inventory levels of many brown spirits are low due to “explosive growth” in the market segment. Over the past year the state has seen double digit growth in brown spirits like Hennessey and Bourbon, so much so that some stores are actually having difficulty keeping any inventory in stock. Certain state stores have seen a growth rate of just over 24 percent. The craft distilling and cocktail craze appears to be a leading factor in the increased demand, following national trends. 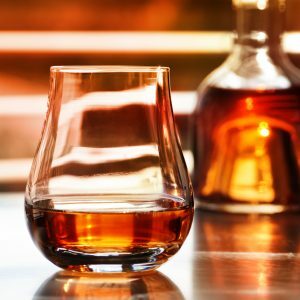 Revenue for American whiskey, which includes bourbon and rye, grew by over 7 percent in 2016 up to $3.1 billion, according to the Distilled Spirits Council. Cognac grew by over 15 percent to $1.5 billion. The demand has grown so high in fact that some stores have reported customers purchasing products before staff even have a chance to put them on the shelves!